At least 30 people have died in a cholera outbreak in Malawi, official says. Kenya has never won a team event at the Commonwealth Games — away from the track — and its best chance to claim its first could be in this year's rugby sevens competition. The struggle for racial equality in South Africa was not necessarily fought on Robben Island where Nelson Mandela and other prominent political activists spent the better part of 27 years. British-Nigerian actor John Boyega has said the success of the “Black Panther” movie means Hollywood wants to produce more African stories. Portraits of Dignity: How We Photographed Ex-Captives of Boko Haram For the past year, the photographer Adam Ferguson and I have met with hundreds of victims of Boko Haram. Girls who were forced to have bombs strapped to them. People who were living along a highway after militants displaced them three or four times from their homes. University students who carried on while under threat from bombings. But we’d never managed to talk to the group of students from Chibok, in Nigeria, who were released after a high-profile kidnapping in 2014 that inspired the social media hashtag #BringBackOurGirls and brought international attention to the group. 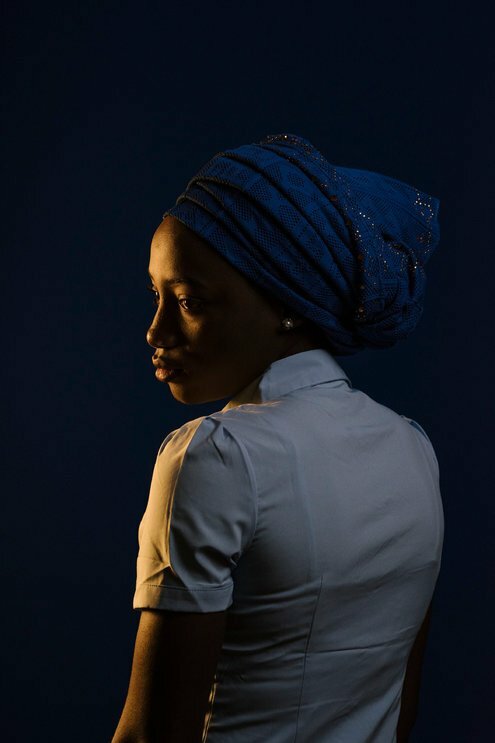 Kidnapped as Schoolgirls by Boko Haram: Here They Are Now The New York Times met and photographed dozens of the students abducted by Boko Haram. Now at a university, they say they are the lucky ones. But their celebrity has a price. We wanted to photograph the young women whose images the world knew mostly when they were teenagers, in dark robe.. The Tanzanian government, with support from the WWF, have launched the country's largest ever elephant collaring effort to protect the population from poaching. More than 250 people were killed on Wednesday, after a military aircraft crashed shortly after takeoff. A third of Cameroon's athletes attending the Commonwealth Games in Australia have gone missing, the team said in a statement Wednesday. Thousands of mourners gathered Wednesday in South Africa for a public memorial service for Winnie Madikizela-Mandela, the anti-apartheid campaigner and former wife of the late President Nelson Mandela. An Algerian military plane crashed Wednesday southwest of the capital, Algiers, the country's official news agency APS reports.